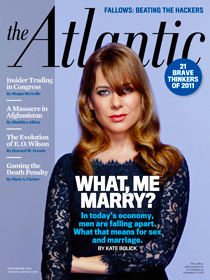 The November issue of the Atlantic Monthly is all about marriage and in their words- marriage scarcity. There are lengthy articles full of both statistical and anecdotal evidence but I will try to summarize the ideas as best as I can (I apologize in advance if this is a bit muddled. My thoughts were all over the place). The main point is that the numbers of marriages and likelihood of finding a marriage partner is getting increasingly difficult. “Half the adult population is single, compared with 33 percent in 1950; and 40 percent of children are born to single mothers. Partly, this may be a result of women’s no longer feeling compelled to marry a Mr. Collins. But it also appears to signal that the rise of women is being matched by a decline, not just of male dominance, but of men. “Foremost among the reasons for all these changes in family structure are the gains of the women’s movement. Over the past half century, women have steadily gained on—and are in some ways surpassing—men in education and employment. From 1970 (seven years after the Equal Pay Act was passed) to 2007, women’s earnings grew by 44 percent, compared with 6 percent for men. “What my mother could envision was a future in which I made my own choices. I don’t think either of us could have predicted what happens when you multiply that sense of agency by an entire generation. I was speaking with a friend on this topic and he pointed out that he has been hesitant to pursue a marriage partner because a feeling of financial inadequacy. Particularly in a conservative culture like the one I live in there is still the idea that a good husband should be able to provide for a family/wife. While perhaps this is the ideal I think it is rapidly becoming a thing of the past. Most families can not afford to be single income anymore and with all their education women are increasingly hesitant to give up their careers for family. (With some careers the debt incurred to accomplish the career literally limiting women from completely giving them up). I wonder how many men feel like my friend and worry about providing for a family? Its interesting to me because its not really what I look for in a potential spouse. I want someone who will be my partner, so we can overcome challenges together. I want someone that is my intellectual, not necessarily my financial, equal. I want someone that I can I have a decent conversation with and who likes being with me. Is that too much to ask? I certainly don’t expect to be taken care of by anyone (not my style!). I wonder if this is part of the reason for the marriage scarcity- men see it as a burden, women as a blessing? (that is a simplistic generalization I know but I’m speaking of over-all trends not individuals). I know that children make providing for a marriage more complicated but why not conquer that challenge together? The man shouldn’t feel like it is solely up to them. Even the stay at home Mom’s that I know are essential to keeping costs down in their marriage so they can live off whatever their husband can provide- its a group effort. With the women’s movement the entire idea of gender has been confused. Who’s to say what is male anymore or female? Again, in general I think this is a good thing but it can have negative side effects. In the old world a woman knew where to look for a likely mate and typically those men would be looking for them. Now the conventions and dating rules are completely smudged together. This leads to a feeling of ‘winging it’ and hoping to be hit on the head by an epiphany of love. As I’ve mentioned many times on this blog I am happy being independent and single. 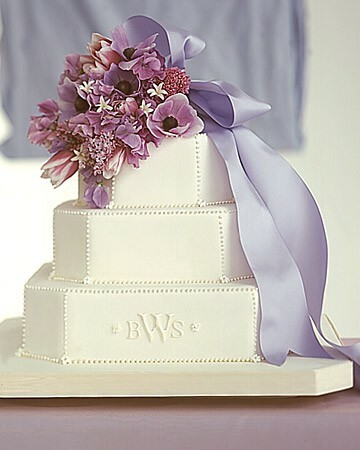 While I’d like to get married I will not be devastated if I don’t. I think even in Mormon Utah this type of attitude is becoming more common. After all, marriage is not something you can make happen. If I want a masters degree, I can get one. If I want to serve a mission, I can. If I want to own my own business, I can. If I want to get married…Not so much. It just doesn’t’ work that way and like the articles say it is the ‘new scarcity’ in America. Most singles are reminded of their marital status (especially in a singles ward in Utah) far too frequently. It leaves me feeling impotent and oddly unworthy- like I am 18 forever and can never progress in some viewpoints without marriage. A couple of years ago at a family Egg hunt I was put with the children hunting eggs. None of my married cousins were grouped this way. It is subtle slights like this which can be very frustrating. To be at the time approaching 30 and still be viewed as a child is very annoying. Sometimes I admit I can be a bit hesitant to approach this topic because I feel defensive about my life choices- that somehow being single makes me less of a person in some people’s eyes. Indeed, almost all depictions of single women in the media are either as desperate to marry, needy women (every Kathryn Hiegel movie) or cold ice queen corporate executives (Sandra Bullock, the Proposal, Meryl Streep, Devil Wears Prada). I am not an ice queen and definitely not needy. My single friends out there, how do you deal with the stereotypes of not being married? Do you feel looked down upon or marginalized? I think all singles can relate to being condescended to or belittled because of our marital status- something we have little to no control over. Again, show me the line to get in for marriage and I’ll be right there. Its just not that easy. Even worse than the condescension is the pity. Especially people from my grandmother’s generation often look at a single woman and feel sorry for ‘all she’s missed out on in life’…Urgh! Its not my fault! I’ve never met anyone I want to marry. Nobody even close! These articles were actually quite comforting to me to see that its our entire society that has moved away from marriage, not just the men I meet! How can singles support marriage and remain hopeful of being married without becoming discouraged or jealous? How do you feel like an equal contributor to society when you don’t have progeny to mold? I have yet to find such a balance. I wonder how many other women are like me, content to live a productive life by ourselves until we meet the right one? We certainly don’t feel the kind of financial or social pressure to marry that at one time existed for women. In general this is a good thing but it can’t be all positive? Women don’t feel like they need men like they used to. Good or bad? In truth, a part of me wishes marriage didn’t exist because then there wouldn’t be this big hole in my life (in the eyes of other people). I kind of live my life as if it didn’t exist that way I don’t feel lacking or sorry for myself or like I’m missing out on this huge part of the human experience. I live a happy life and only occasionally wonder where Mr. Sunshine might be…? That said, I would like a partner to face challenges with. To me it is depressing to think that such opportunities become smaller each year I get older but what can you do? (they say you have a better chance of getting killed in a terrorist attack than getting married above 40…). “But while the rise of women has been good for everyone, the decline of males has obviously been bad news for men—and bad news for marriage. For all the changes the institution has undergone, American women as a whole have never been confronted with such a radically shrinking pool of what are traditionally considered to be “marriageable” men—those who are better educated and earn more than they do. So women are now contending with what we might call the new scarcity. How do you think this marriage trend affects our society? 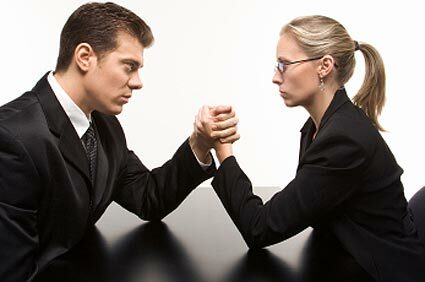 Why do you think there is this divide between motivated (marriage and otherwise) women and men? How has the changing definitions of manhood and womanhood affected our society and marriages? What of these changes are good and bad? What, if anything, can we do to encourage marriage? Please read the articles. I think you will find them as fascinating as I did. I don’t know if I’ve done them full justice (they are quite lengthy) but at least this can be an introduction of sorts. That was an interesting post Rachel. And I can definitely relate to all of it. I spent a lot of my single time feeling like people thought I wasn’t good enough to find a spouse. I know probably a lot of it was in my head but I thought when people looked at me, they probably looked at all the things that were wrong with me and thought-Aha…that is why she isn’t married. And I hated when people pitied me for not finding someone. I was enjoying my life and the things that I had deemed as important. Sometimes I wonder if that was why I didn’t find someone sooner-because I was so focused on school and my career and not so focused on finding someone. But I can tell you that it’s amazing when you meet someone who appreciates all of that about you. I love having someone who thinks it’s awesome that I have a master’s degree and a career and that one day I want to go and get my PhD. Keep holding out for the Mr. Darcy’s and not the Mr. Collins’ 🙂 And if your perfect Mr. Darcy never comes along, there is nothing wrong with being single. Nothing at all. My single years allowed me to get all that schooling, travel all over, go to Hawaii so many times and do whatever the heck I wanted. Thanks Camille. Sounds like things area progressing well in your relationship. Hurray! I hope I didn’t complain too much in the post. I guess I feel like if I focused more on finding a partner it wouldn’t get me anywhere so might as well focus on the things I can control. The one article comparing our time to Jane Austen was very fun and interesting. You should read it. I agree it is worth waiting for Mr. Darcy (even as the article states they are getting more rare by the minute). I hope Mr. Darcy isn’t quite so rude to me when we meet as in the book! Anyway, glad things are going well for you. Miss you! I wonder what the Prophet and Apostles think about this ‘marriage scarcity’? It is probably less of a trend in the church but definitely still there. Honestly, I believe marriage is a bad deal for many women. First off, not many quality men around. If we want to encourage marriage, the men better buck up. In the past, women were financially dependent on men and had to get married because they couldn’t get jobs or take care of themselves that way. But these days, as you have aptly pointed out, women are earning more and don’t need men for money or financial subsistence anymore. But what can the men offer to entice women into marriage? Maybe if men learned how to cook, make love, do household chores and fix things around the house, they can make themselves more attractive. These ARE important because as a woman, you don’t want to be married, hold down a full-time job, take care of the kids and household chores while your husband do nothing besides waiting for you to cook dinner and bring him beer. I’ve lived with a guy before so it gave me an insight into marriage. Frankly, I have a job and earn my own money and it’s only a matter of time before I buy my own place. I don’t see why I need to have a man enter my life if he can’t enhance my life in any way. Men need to buck up. And mothers of today need to raise their sons the right way. I agree that there are definitely good men out there but they’re so far and few in between. I blame it on bad upbringing. That’s really interesting. Thanks for sharing. Its totally worth waiting for. I wish that people would simply date more so that you got to know more guys but even that seems to be scarce. Oh well! I just wonder how this marriage scarcity as a whole is hurting/helping our society. Marriage is such a stabilizing force.